From first generation breweries and bars to eager new upstarts, there is no lack of great places to have a drink in Vermont. But some of them stand out from the rest. Whether it’s historic spaces to arcades, here are the most unique bars in Vermont. Vermont's oldest craft brewery is unique in many ways, not the least of which being that they are the most venerable brewery in the Green Mountain State, established by Greg Noonan in 1988. Secondly, they offer many unique, award-winning beers plus. The brewery overlooks Battery Park and the beautiful waters of Lake Champlain and offers outdoor seating. Opened in 2000 by owners Phil and Joy Black the Lookout Tavern is plopped snuggly in the hill of the Green Mountain, and the building features a rooftop deck for a 360-degree view of the surrounding area, including the largest vertical drop in New England at 3,050 feet. If you really want a unique Vermont craft beer experience, you need to go to a place with 35 beers on tap, including some of Vermont’s finest offerings like Foley Brothers Loco Moco (imperial stout brewed with blackstrap molasses), Alchemist Heady Topper (American double IPA), and Zero Gravity Nebulous: (Hazy tropical IPA with experimental hops), and multiple beers from Hill Farmstead. Get away from all of the glitz and glamor of Vermont’s queen city. This hole-in-the-wall bar offers cold craft brews, house-made traditional cocktails & simple bar food like fish ’n’ chips. The surrounding are minimalist, the bar is unadorned, and the brick and mortar interior is cozy. Plus there’s Whistlepig straight rye whiskey behind the counter and, heady topper in the cooler. If you are looking for an interesting venue in a bar, the Wobbly Barn is for you. The busy after-ski steakhouse and nightclub has been a Killington stalwart since 1963. As the story goes, this bar and restaurant was created by collecting parts of 10 barns from across New England. There are two things that the folks at the Archives know: arcade game and alcohol. Get in touch with your inner teen and play pinball, Pac-Man or Street Fighter II. The interior bar is packed with 35 classic arcade games, and when your done your nostalgic trip to the 1980s, kick back with one of 24 craft beer on tap. Classic cocktails, wine, and sake are available as well. The understand Ye Old Tavern and its unique interior and classic bar, we have to take a trip back to 1790 when Master Builder Aaron Sheldon build the original structure and called Stagecoach Inn. The inn still stands today, having been completely restored in 1967. Check out the “spring floor” in the third-floor ballroom and the high square columns of its porch. Take a step back into a simpler time, 1801 to be exact. One of the oldest operational inns in America, this pub and restaurant offers something you would not expect: “elevated farm-to-table small plates & mains.” It is not that often you find a gastropub inside of a centuries-old inn, but there you have it. There’s nothing too special about McNeill’s. They have only won 15 beer awards since 1994, thanks to owner and head brewmaster (and classically trained cellist), Ray McNeill. With 25 draught beer on tap at all times, you drink suds from one of Vermont’s first brewers. Enjoy classics like Dead Horse IPA or Alle Tage Altbier, and also find unique and playful offerings like the effervescent, Sunshine IPA. One of the most intriguing bars in all of Vermont is Lincolns. Google places the establishment somewhere on college street but nothing more about its physical address. 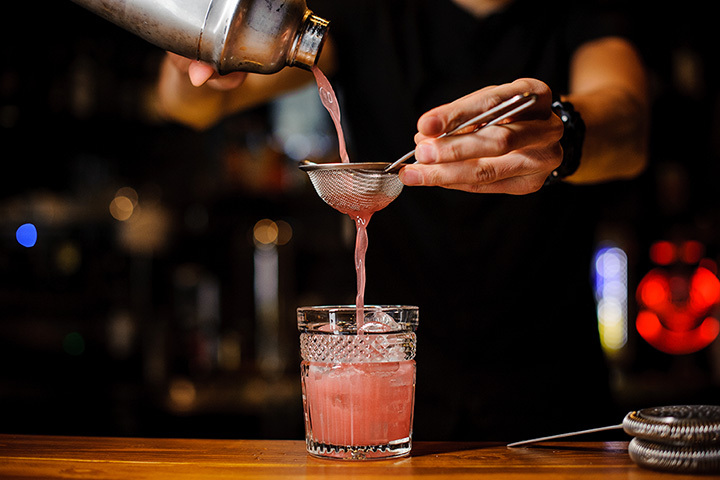 In true speakeasy style, “having to find it is part of the appeal,” and the place is designed to mimic the Prohibition era, you’ll find high, dark wood tables, a barkeep who accepts cash only, 10 spirits total in the whole place, and every drink is $5.